How Will Tax Reform Give You a $4,000 Raise? And this is what they’re saying it really means. The “pay raise” — which, there isn’t a pay raise here. Unless Congress is ordering your employer to increase your gross or your net (however they calculate the four grand), “the pay raise is as the result of reforms that help keep businesses in the United States,” so that’s the repatriation of foreign revenue, “and bring jobs and capital back home from abroad.” Oh. So Apple has a cash pile — let’s round it up — $250 billion. Now, 75 to 80% of it’s overseas because the American corporate tax rate’s 35%. Apple can… Why bring it back if you gotta pay 35% on it when there’s no comparable tax rate in any other country? So they leave it in the countries where it’s earned, and I think they park it in an account in Ireland. I’m not really sure about that. But the point is tax reform is gonna lower the corporate tax rate and there’s gonna be a special repatriation surcharge or some kind of thing. “Today, America has one of the highest corporate tax rates in the industrialized world at 35%. By slashing this rate to 20%, and bringing trillions of dollars in profits back home from overseas, we will unleash real wage growth not seen in a generation.” Well, we hope that happens. Theoretically, it could and it should happen. But the legislation does not contain language that requires American businesses to increase the salaries or pay of people that work there by whatever amount of money. So all of this is a calculation based on what benefits will derive from the tax reform package. So it’s a little bit… “Tax reform will raise wages at least $4,000 on average.” That… (sigh) I don’t know. Yeah. Corporations, businesses, will have more money with the reduction of corporate tax rate and repatriation. But I guess they’re calculating some of that’s gonna go to increased wages, but I don’t think they’re mandating that, so go figure. RUSH: We start with Brent in Cleveland. Welcome, sir. Great to have you with us. CALLER: Hello. Thank you for having me on. I just wanted to make the point that the $4,000 that Speaker Ryan is the speaking of may be just kind of a moot point. Because if you bring $2 trillion into the American economy, we’re probably going to see a huge increase in inflation, and so that even could be where he’s getting the $4,000 is just a simple price increase of inflation. 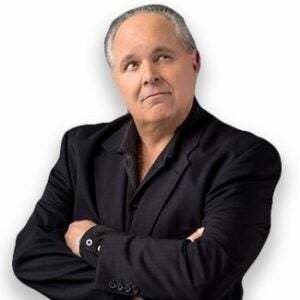 RUSH: Well, I’m not sure that that’s where he’s getting the $4,000, unless you’re saying that the resulting inflation from infusing the economy with that much money repatriated would cause salaries to approximate expanding by $4,000 a year. But, of course, if it’s inflation induced, then there’s no net benefit to it (chuckles) and that’s not what Ryan’s saying. What Ryan’s saying is, “Hey, our tax reform is gonna get you a $4,000-a-year raise.” That’s what it says. Now, I’m sorry, folks. I’m the mayor of Realville. I can’t read something like that and simply go, “Right on, man! Right on, let’s do it! Let’s do tax reform and get everybody, on average, a $4,000-a-year raise.” It’s based on the fact that American corporations are gonna have a whole bunch of money in America to use that they can’t use now because they can’t bring it back because the tax rate’s too high. So they’re gonna lower the corporate tax rate plus make a one-time offer of very low taxes on the repatriated amount. That’s gonna equal more money being held by American businesses domestically, and that means that everybody gets a $4,000 raise? (snorts) Is there something in the bill that mandates businesses pay higher wages with the money? Now, he’s gotta mean something. Because of my analysis of this… I mean, anybody’s not just me is gonna look at this with giant question marks. They’ve put this out the way they’ve put it out. They have to be able to back it up with something. I just can’t figure out what it is. Because government doesn’t give you a raise, unless you’re on welfare, and for that to happen, they have to take money from somebody else to do it. They’re not talking about this as redistribution. They’re talking about this as corporations having more money equaling corporations paying employees more. Now, theoretically, it’d be wonderful — and it may happen in some places, but it may not. You know, not all employers are nice. That may come as a surprise to you. (chuckling) Anyway. I may be overthinking this. But as the mayor of Realville and America’s supreme literalist, I need to have this one explained to me. The inflationary aspect of this I had not considered. So I guess we just shouldn’t do it all, then, right? RUSH: All right. I’m being facetious. I was only kidding when I said I hadn’t thought about the inflationary aspect. “Maybe we’d better not cut taxes any…” I was joking, folks. RUSH: Frank in Orlando, Florida. Hey, what’s happening? What’s up? CALLER: Rush, thank you for everything you’ve is done and continue to do for the country, sir. RUSH: Well, I appreciate it. Thank you very much, sir. CALLER: You were talking about tax cuts earlier and the influx of capital that would result. Some guy that obviously didn’t know anything about economics called in and said, “Well, that will cause inflation.” Well, excuse me, but, you know, I’m no Thomas Sowell, but I do have a bachelor of science in business administration; I took a lot of economics in college. And what causes inflation is when the government prints money in order to pay their bills, because that’s basically creating money out of thin air, see? But when the private sector injects money into the system, that’s money that already exists and absolutely will not cause inflation. 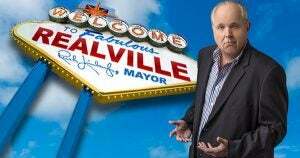 RUSH: In fact, you might say that would actually be a stimulus. RUSH: That’s a great point. You know, I didn’t think of that. You’re right. This is money already earned by American companies; they’re holding it overseas. And they’re not repatriating it because the tax rate’s so high. It makes no business sense to do it. So the tax reform plan lowers the corporate tax rate and has a one-time special rate for repatriation. Let’s say there’s two trillion total. One trillion. Pick a number. That money comes back, it’s not gonna cause inflation because it’s money that theoretically is already backed by the financial system. It’s not printed, nor is it borrowed from somewhere else by the government. When they print it or borrow it, they take it out of the existing economy as it is and then put it back in. There’s no stimulus whatsoever. That’s a good point. Your economic studies have been validated today, worthwhile.